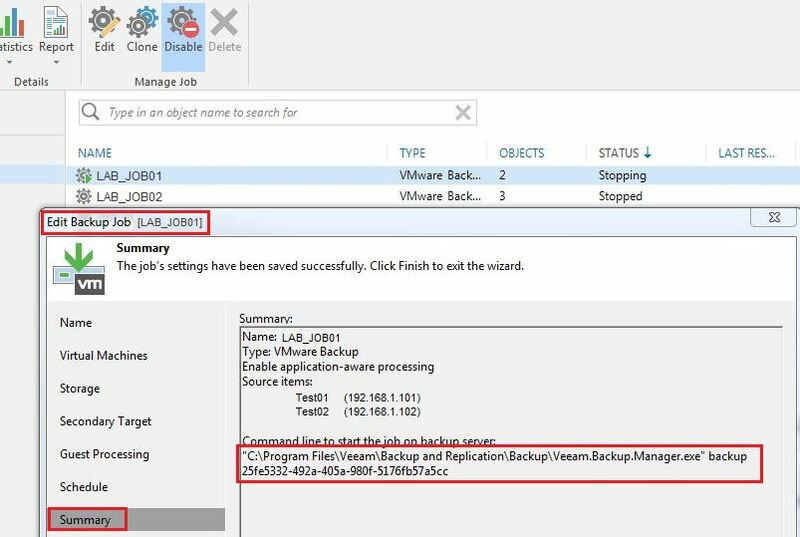 It may happen that a Veeam Backup Job stucks in “stopping” status. If you search for a resolution you will stumble upon Veeam KB 1727. Unfortunately, the provided solution will terminate ALL jobs and restores. But how do you terminate a dedicated Veeam job stuck in “stopping” status? Some jobs may take some time to stop, please allow up to 60 minutes for a job to stop before terminating it. Thank you very much, my backup job stays for almost 84 hours and other jobs are running fine. and since both drives are occupied, many back to tapes job start timing out due to the second job occupied by the job which was stuck backing up small small bits for files. Killing the job process, and stop the job using Stop-VBRJob “Job Name” allowed to free the occupied tape drive.